When you look at the label about what is inside the jar and how it was made, Pure Chimp stands out from the pack, leaving other brands behind. Super Cream ingredients list: Hemp Seed Wax, Safflower Oil, Sunflower Oil, Hemp Seed Oil, Lavender Oil, Wheatgerm Oil – that’s it! I was intrigued by it and wanted to test their claims. Yes, some of them are uncheckable by me, unless I take the cream to a lab, but others I could unscientifically verify by using the product. So I decided to give it a go. 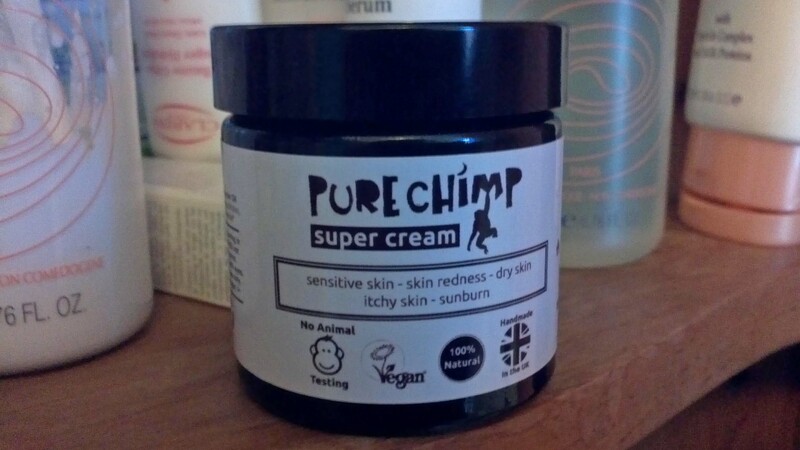 My Pure Chimp Super Cream arrived fast and securely packed for transport. After application the cream absorbs very quickly and leaves your skin smooth and soft; feeling very silky and with a healthy shiny glow. You can really tell the difference between which part of your body was doused with a cream already and the parts you have missed. It doesn’t feel heavy, which for me is a huge plus as I hate creams which you can sense on your skin giving that dragging down feeling through the day. I have slightly mixed feeling about the cream. I love what it does to my skin, there is no question about it but I do have a problem with the smell. I know that we cannot have it all and sometimes we have to compromise in our quest for beauty; something has to give… in this case, it is the “fragrant” aroma given off by it. 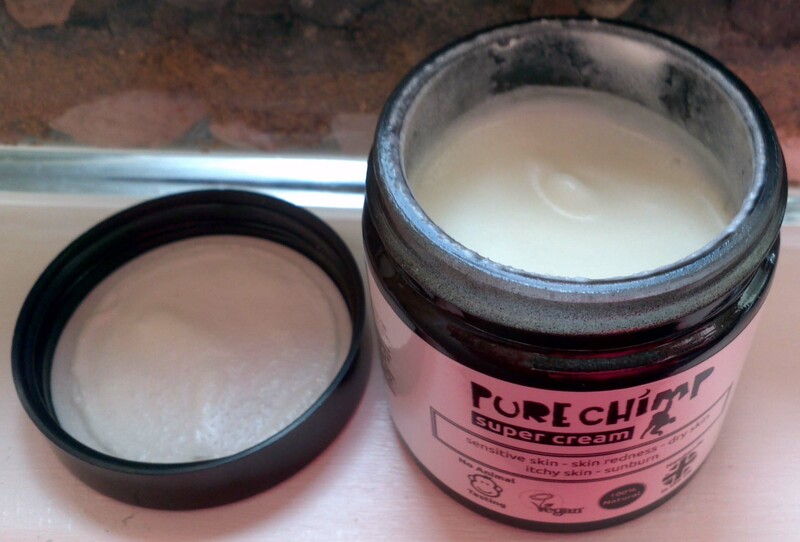 Pure Chimp Super Cream smells very oily… it doesn’t stink but it does have a very distinctive smell, which for some people might be a put off. For me, the jury is still out… I am leaning towards sticking with Super Cream from now on but let’s see how it goes… after all what really counts here is a final effect I can achieve by using it. 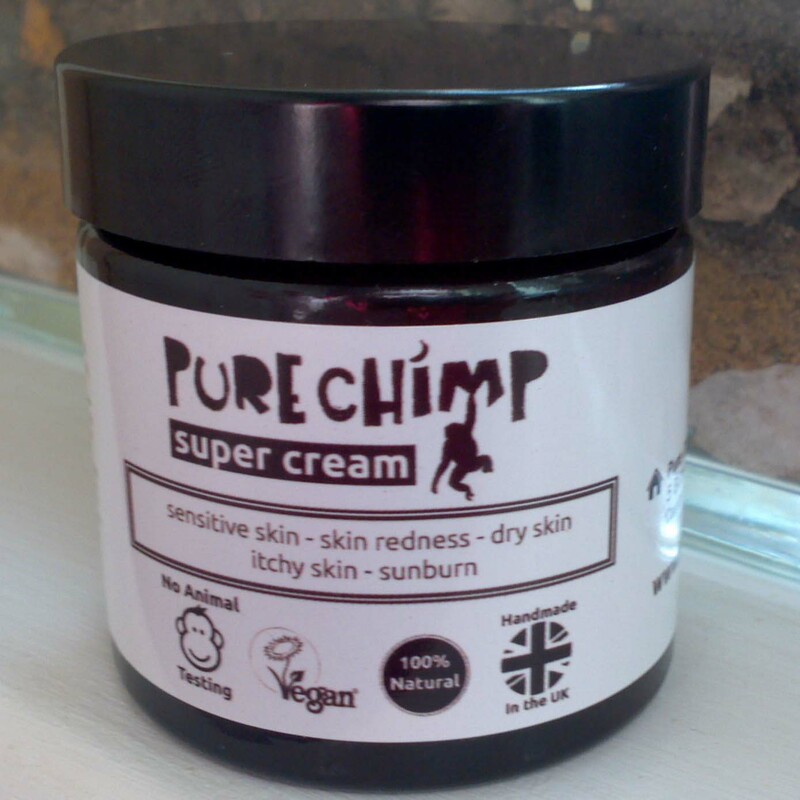 Pure Chimp Super Cream costs £10 for a 60ml jar and £15 for 120ml jar. You can also buy it as a part of a super combo deal which will obviously reduce the price even further. 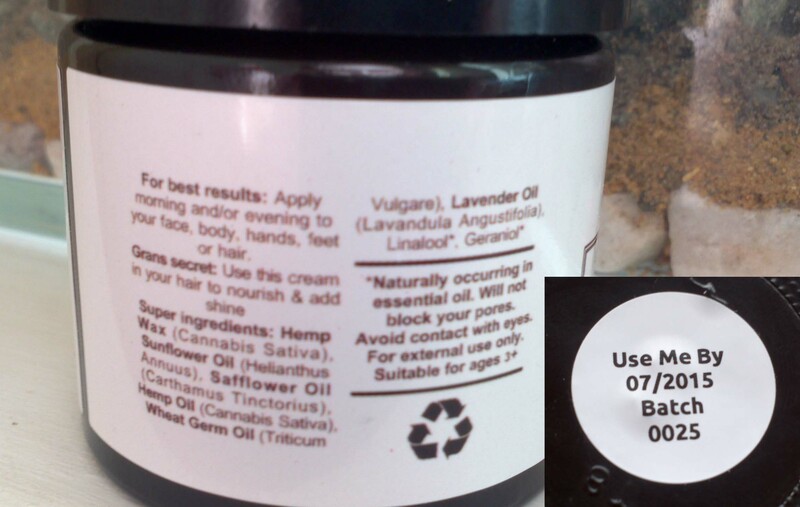 Would you be tempted by this Hemp Seed Wax / Oil based cream? I received one 60ml jar of a Super Cream for free for review purpose. All opinions are honest and my own. Thanks for the review. I have just ordered a batch of the super face cream and the cleanser myself. My skin is “normal”, I guess. A bit dry in some places. Maybe more of a combination skin type. I might just do a review on it. 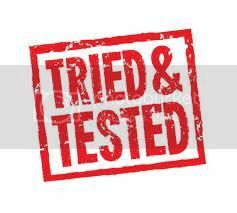 Say, are you still using any purechimp products? Works for me! Dislike that it’s vegan but so was Hitler. I’m a little put off by certain smells in beauty products, but I do sacrifice the unpleasant scents for the effects! I wish I could smell this and see for myself, haha. Hope it works great for you in the end! I am sensitive about cosmetics and skin care so sad that this smells oily! it looks so soft and creamy. I think this is great especially in this period of the year. Great review. i think organic product or product made frm natural ingredient always have distinctive ingredient…so yeah we cant have it all..but scent is a major turn off for me! super chimp is a really cute name <3 I have a dry skin, i might try this but i think this product is not available in my country.. It is very different from main stream creams. Ooh I haven’t heard of this before. I imagine the grains are naturally forming from the wax and disappear when you rub because they melt at body temp. Would be interested to try it. I suffer from dry skin alot so may test this one out! Fabulous name! It’s great having a product so environmentally friendly and I love the ‘use by’ date, makes sense really. Love the name and it sounds great but I think I might be put off by the smell too – I know it’s shallow but I do like a cream to smell nice too. I love the name. I love the fact it’s vegan! I love the fact it’s cruelty free! Awesome! I really like the fact that it has a use by date on it, just reading about it makes me feel a bit more suspicious about the stuff currently in my bathroom! My husband has very dry skin; mostly on his hands and elbows, I might have to buy him some of this! I have extremely sensitive skin, and also have eczema. This looks perfect. I’m always on the look out for products like this. Sounds interesting. I like the idea that it’s made in this country! OH suffers with dry skin from the wood shavings at work – I will recommend this to him! It sounds quite good, I would have thought its for men too because of the name! Oh Misaki, I really don’t think you need any beauty enhancement products – you are perfect already! I’m always on the look out for a good cream for dry skin, I really do suffer in the winter. I love the list of ingredients but I am a little put off if it smells funny, especially as I would use it on my face. When you touch it, you can feel small grains under your fingers, but if you rub it – they all disappear. I never had product before with a similar texture so not sure what to compare it to.